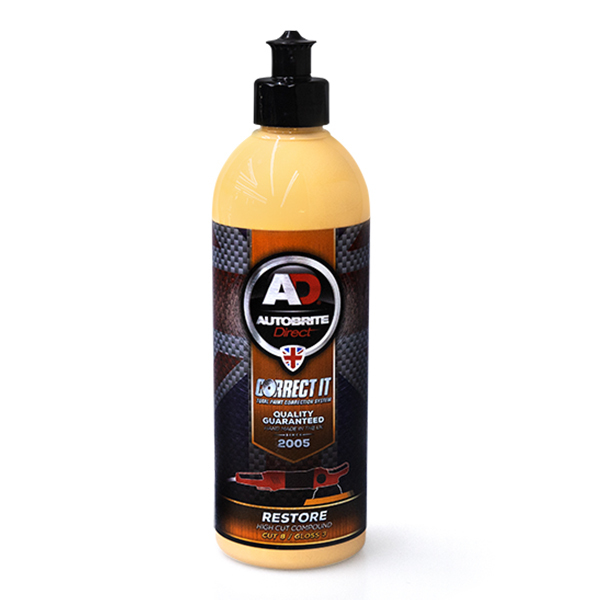 Correct-it Restore Restore is a premium high abrasive machine polishing paste offering the latest technology. A very sharp and homogeneous alumina-quality produces a high cutting action and leaves a excellent finish. Ideal for removing badly weathered paint defects, severe swirl marks, deeper scratches and effectivley will remove 1500 sanding marks and leave a flawless finish. 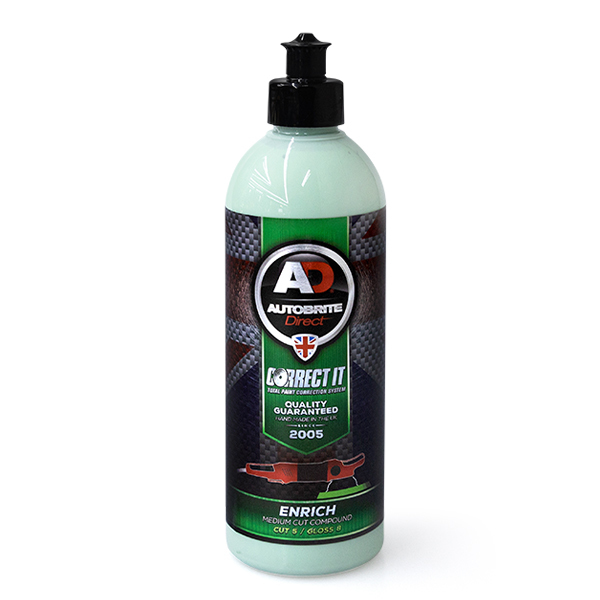 Correct-it EnrichEnrich is an intelligent medium machine abrasive polish offering the latest technology in paint correction polishes. The unique formulation provides a fast, complete removal of car wash scratches, swirl marks, weathered paint, scratches and similar signs of wear and gives the paint surface a lasting deep shine. Enrich can remove 2500 sanding marks easily and is for perfect for of medium to heavily weathered paint defects. Correct-it Final Finish Anti-HologramFinal Finish is a glossy Anti Hologram finishing polish, offering the permanent removal of holograms, polishing haze, fine scratches, marring and up to 3000 sanding marks on all (including scratch resistant coatings coating systems). Final Finish Formula is a highly specialised, homogeneous abrasive product and can be used with ease on all paint surfaces, offering a brilliant and lustre durable gloss finish. 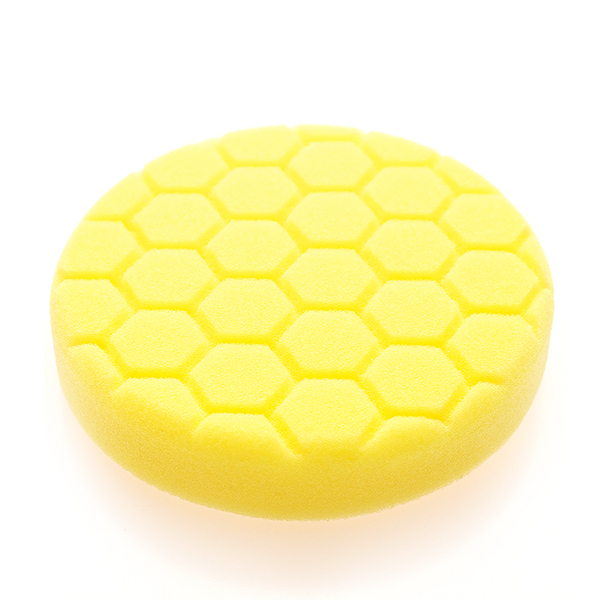 Hex Tech Pro Pad Yellow Hex Tech Pro Pad Yellow for cutting and deep scratch removal. Manufactured in the UK with the highest quality foam material avaialble. 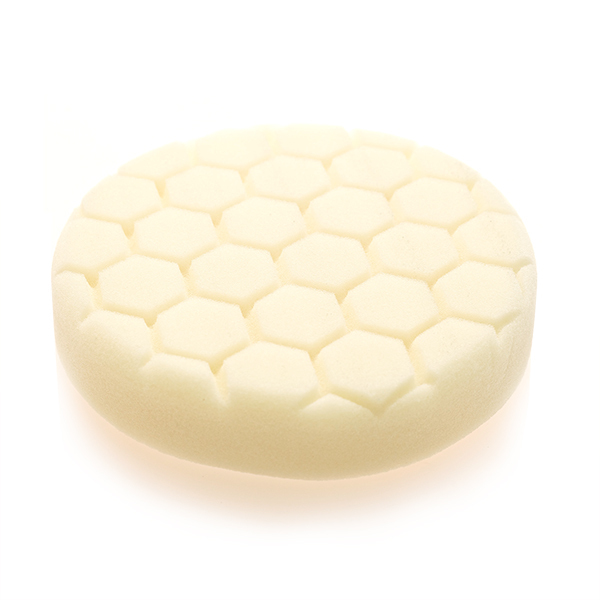 Now with the unique "Hex-Tech" patterned foam enabling the best cutting, polishing, glazing and waxing/finishing surface. Long lasting and durable with accurate results giving you a safer and smoother polishing experience. 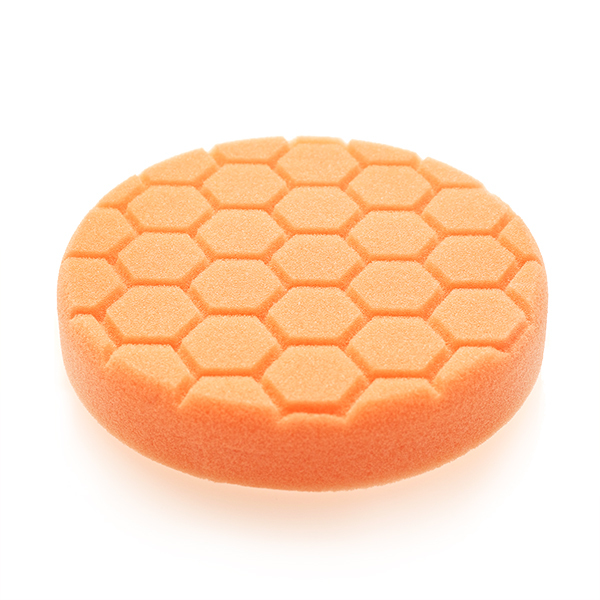 Hex Tech Pro Pad Orange Hex Tech Pro Pad Orange for defect and scratch remvoval. 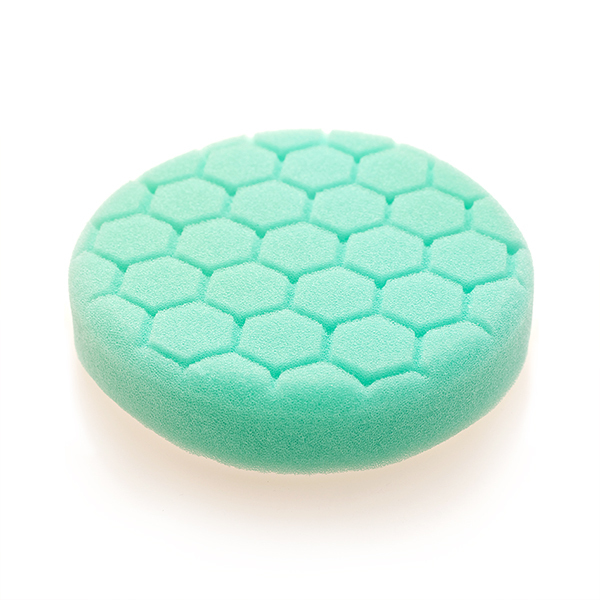 Hex Tech Pro Pad Green Hex Tech Pro Pad Green for Light scratch removal. Hex Tech Pro Pad White Hex Tech Pro Pad White for Swirl Mark removal. 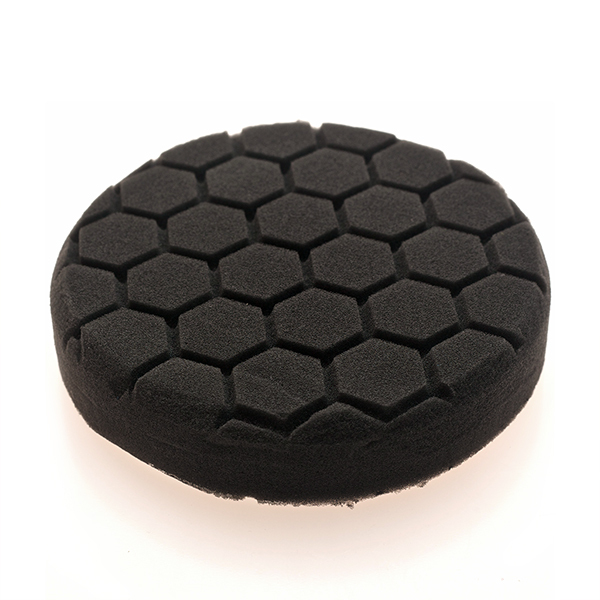 Hex Tech Pro Pad Black Hex Tech Pro Pad Black for Refinishing & Hologram. 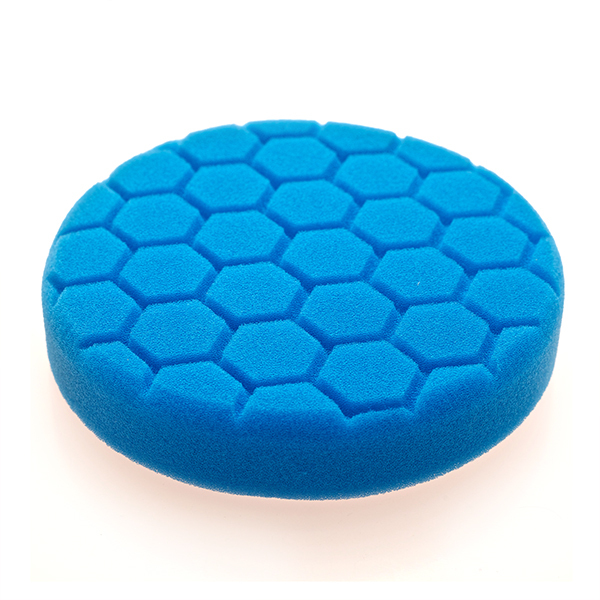 Hex Tech Pro Pad Blue Hex Tech Pro Pad Blue for Light Clean & Glazing. Hex Tech Pro Pad Red Hex Tech Pro Pad Red for Wax & Glaze.